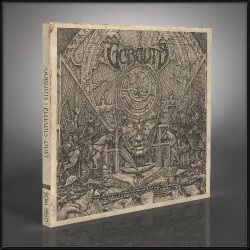 The critically-acclaimed GORGUTS has a bold legacy of progression that permeates their 25 year existence. Each album is distinctly different from, but builds upon, the ones that came before it, steadily expanding and strengthening their vision and musical vocabulary. The new EP 'Pleiades' Dust' is their most adventurous step yet. A singular, 33-minute narrative composition, 'Pleiades Dust' is a deft marriage of extreme metals bombast with the tenets of classical composition. As is their wont, one of metal's most unique and respected bands has created yet another groundbreaking piece of music with 'Pleiades' Dust'.